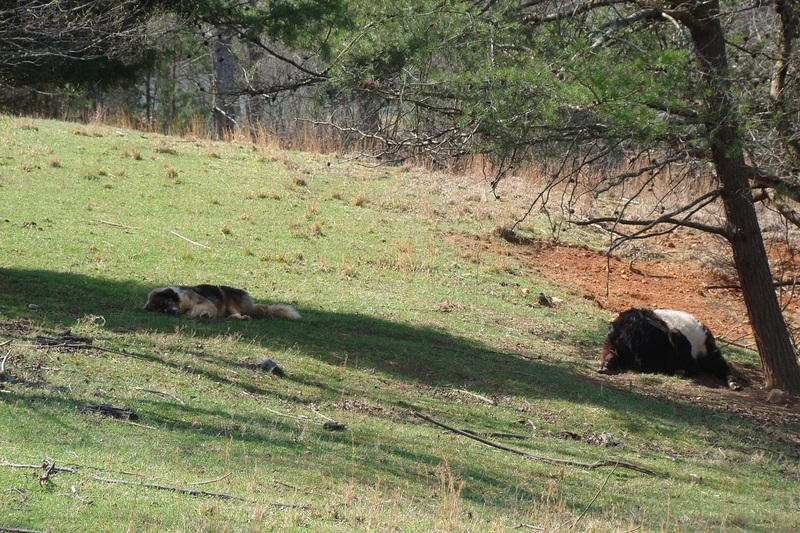 Jessica (our cow) and Milos (one of our karakachans) enjoy a springtime nap under a stand of trees. He naps a lot during the day because he’s up at night keeping everyone safe. His sister FiFi is a little wary of Jessica, I’m sure it’s because of her size. Milos keeps her in line, he doesn’t let her bully anyone. They obviously are comfortable around each other.